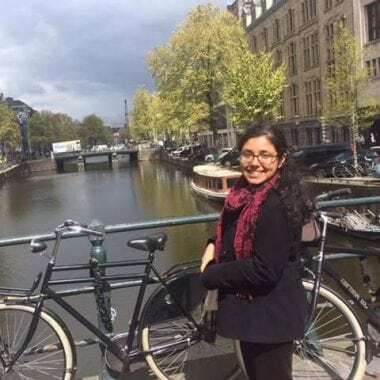 Palak Khanna, (she/her/hers) is a first-generation college student who participated in the BLAST program and designed her own interdisciplinary major in South Asian Studies. Her major came with the desire to learn more about her family’s history told through the voices of South Asian scholars and authors. She is currently pursuing her master’s degree at The Fletcher School with a concentration in Gender Studies in International Affairs. Why are diversity and inclusion important at Tufts? Equitable and just diversity and inclusion frameworks are especially needed at elite and historically, and predominately, white institutions, of which Tufts is one. Together we have to reckon with the reality that advancement and opportunities are not just the result of students’ merit, but bigger questions of access and privilege. A degree from Tufts would not have been possible for me if it weren’t for a full financial aid package and programs like BLAST, the first-generation student council, and the Group of Six houses – initiatives aimed at making Tufts a more diverse and inclusive place. I’m grateful that during my time at Tufts I have met individuals committed to the work of diversity and inclusion – both students involved in radical activism and members of the administration like Dean Mack. But the work is not yet complete. Together we have to create a framework that is more than just “beautiful” on the exterior, one that has depth and intentionality. Rather than a language of appeasement between students and administration, we need a language of active and sustainable engagement where voices and ideas are turning into action, especially of those people who have been historically marginalized. How are you involved in diversity and inclusion initiatives/programming/research at Tufts? The University Chaplaincy is one of the spaces where I have felt most comfortable expressing my full self with its many facets and identities. During my time as an undergraduate, I have been grateful to be a part of the Interfaith Student Council and pre-orientation programming such as CAFÉ (Conversation, Action, Faith, Education) where students of different faiths, spiritualities, and perspectives have found meaningful ways to connect with each other, deconstructing the biases and misunderstandings that we all have along the way. It is a place where I have been able to ask challenging questions, and be comfortable with the uncomfortable. I am currently working with colleagues at the Fletcher School to plan and host the first Decolonizing International Relations Conference this fall. It is really exciting and humbling to collaborate with others in the Tufts community to critically engage with scholars and theories from the Global South that have been often overlooked or co-opted within academia centered in Western Eurocentric perspectives. One day, I hope that this initiative and its broader vision of radical inclusion becomes a permanent staple at The Fletcher School, not exclusively as a conference, but also reflected in the values and academic environment at Fletcher.